Its pretty easy to see why people travel across the globe to have a wedding or honeymoon in Bora Bora. However, this island paradise in the South Pacific makes for a perfect backdrop to any occasion. Our fans on Facebook and readers like you visiting our website ask us all the time if we know any Bora Bora wedding photographers. So to add to our collection of talented wedding photographers we asked Stephan Debelle about his services and to share a little bit of his background. Stephan was kind enough to respond, below is our email exhange with him. Born in France, I moved to the US in 1989 and received dual citizenship. 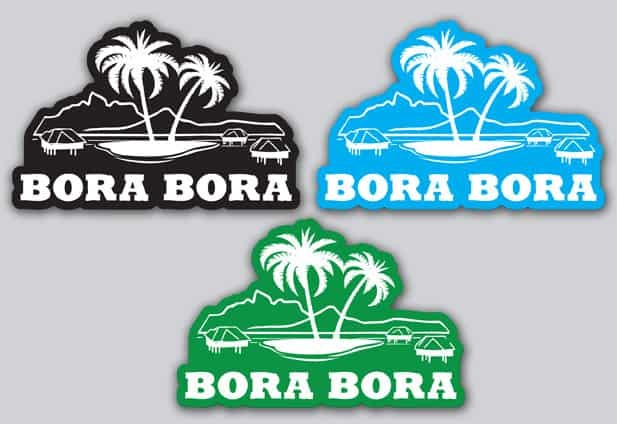 I made my first trip to Bora Bora in 2012. Photography has always been my passion since I was fourteen years old. I was presented with the opportunity to sign a contract with a Japanese Wedding Company during one of my trips to Bora Bora; in 2013 I decided to seize the opportunity and moved to Bora Bora to establish myself as a professional photographer. While most of my work here is centered on shooting Weddings and Honeymoons I am open to shooting almost anything. While some traditional (posing) photos are necessary my style is very much on the “Photojournalism” side as well as shooting with “Natural Light”. Having a professional diving certification, I am also hired from time to time to film & take photos during Lagoon tours or other activities both on the surface as well as underwater. Digital, as well as video. What I enjoy the most here is the peacefulness of life in the South Pacific as well as the culture and the people of French Polynesia. I am grateful to have good friends from the Islands who have been so welcoming and so willing to share their culture. I enjoy taking photos of local events as well as filming, that is my small way of giving back. I usually have a good connection with people and always allow time to meet ahead to get acquainted with them, making them feel at ease and relaxed is key to capturing the magical moment. I did not come here to do factory click work, I enjoy listening to people. Taking the time to listen is essential in understanding their style and expectations so they can bring home a lifetime memories. The photo-sessions are conducted in a non-rushed and fun atmosphere, which is key for capturing good impromptu shots. Each couple being different; I love to improvise and challenge them a bit with action shots; if they have fun during the session – I know that is a win-win situation. I think this also comes from developing a real connection with my clients. “Alfred Eisenstaedt” quoted “It is more important to click with the people than click the shutter”; I really believe in that statement. Listening to people, understanding them and also allowing them to express their ideas is essential to me. I also aim to deliver photos that are representative of the day without over-doing it on editing and post production side; however I will deliver a certain amount of photos of a different version with advanced post-processing; IE low saturation, B&W etc.. This allows me to give a good variety of photos to my clients if they wish to print a book. Being new here, I do not have a good historical average but would say that combining, Honeymoon sessions & Weddings, it will be around 100-120 this year. The greatest challenge to me is timing, some weddings have a tight schedule and not missing the precious moment is the essence; you only have one chance! Heat, wind and rapid change in light are some of the technical challenges; fortunately they can easily be overcome with modern post-processing when necessary. I first go through a selection process looking at the details and expressions. I ensure to select more photos than required to deliver so that they all best show the emotions and happiness of my customers – While shooting in RAW, many adjustments to the images are possible and every photographer should take advantage of that – Thus the technical aspect is not my primary criteria; you cannot recreate a “kiss” but you can adjust exposure if you were not totally on spot! The second pass, will allow me to weed out images that are not optimal from the technical aspect as well as not as emotionally strong. Usually within 48 hours, sometime photos have to be delivered over the internet if I am not able to meet the clients before their departure. I rarely bring an assistant or second shooter with me, I may sometimes have a second shooter with me for video when filming with multiple cameras. They can of course contact me via my web site http://www.boraboraphotovideo.com or email [email protected] but I always glad to have a discussion with them via phone or skype if they wish. My wedding will be in BORA BORA!!! Brasil, meu casamento sera em Bora Bora!! !